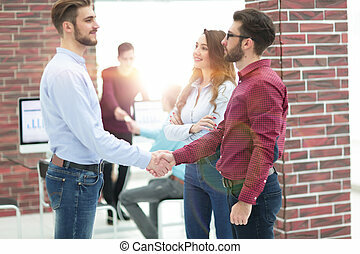 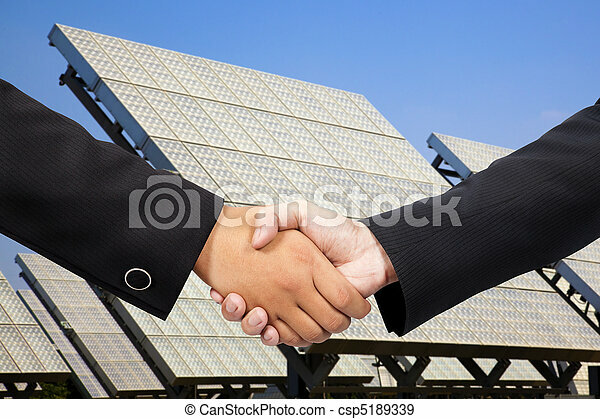 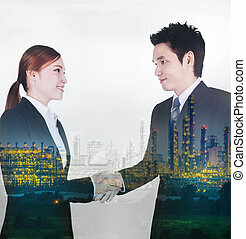 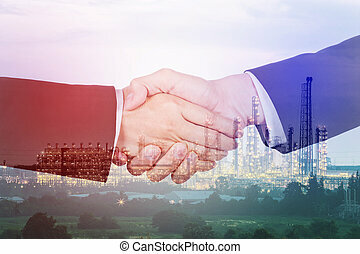 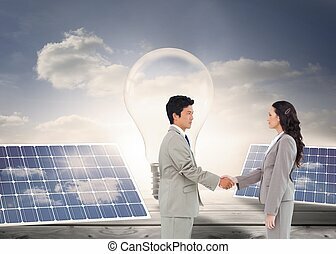 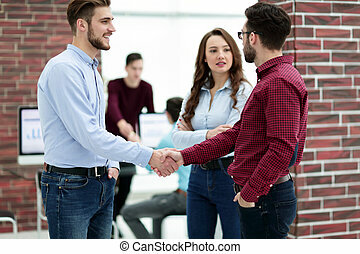 Businessman shaking hand before solar power plant. 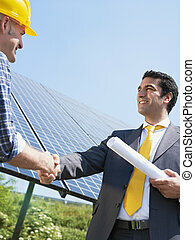 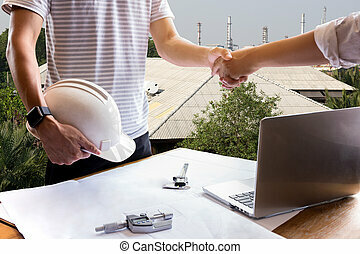 Businessman holding photovoltaic detail and shaking hand to a foreman. 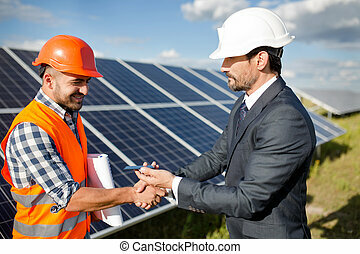 Solar panels in the field, business deal between client and foreman. 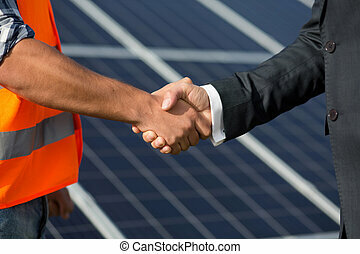 Foreman and businessman shaking hands at solar energy station. 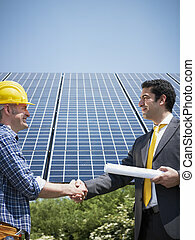 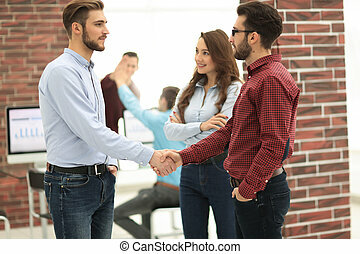 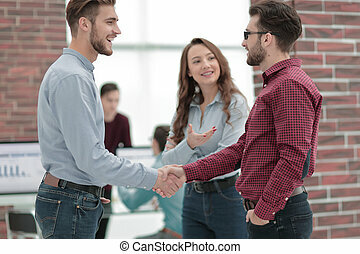 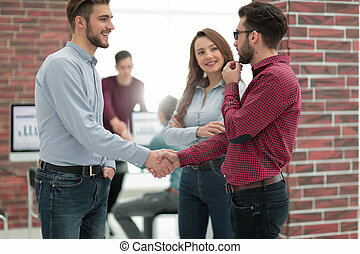 Close up view on handshake between worker and man in business suit. 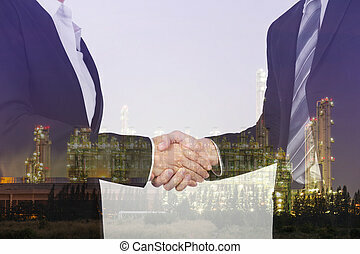 Businesspeople shaking hands before meeting In boardroom.